It all started with those four little words, "I can make that". Yes, I'm one of those people. When I'm out shopping I find myself saying that a lot. It's a blessing and a curse really. A blessing because sometimes I can make the item and forgo buying it. A curse because sometimes I take on way more than I can handle. Take for instance the time I spotted a braided rug at Pottery Barn Kids. I thought, didn't I see an article in Martha Stewart about how to make braided trivets. Didn't it say if one continued with the pattern it would make a rug. Oh, yes I can do that. So I purchased a large quantity of fabric and began the project. The braiding took forever with the fabric. Next the sewing, which was difficult because it required hand sewing with thick fabric. All that effort and I had a rug the size of a coaster. My hands had turned blue from the cheap dye. So needless to say, a month later I gave in and purchased the rug. So here's where the curled ribbon comes in. I saw some cute hair clips at a child boutique and new I could make them. The hair clips were basically curled ribbon glued to a hair clip. So here I am in 100 degree weather baking ribbon! Directions below. 1. Wind ribbon around skewers. Hold in place with clothes pin. Refer to pictures. 2. Spray ribbon with water until all of it is wet. I recommend spraying the clothes pins with water also so they don't burn in the oven. * You could get the ribbon wet first and then wrap it around the skewers if you wanted to. 3.Place ribbon on a foil lined cookie sheet and bake at 200 degrees for roughly ten minutes. 4.When ribbon is completely dry take out of oven and let cool. 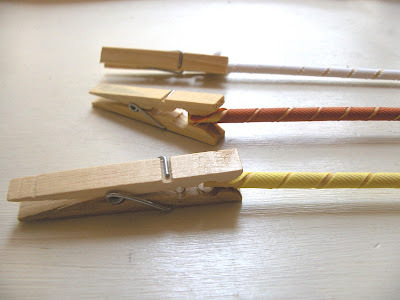 Remove ribbon from dowels. My little girl is all grown up now, but when she was young, I made hair bows and scrunchies for her, curling ribbon that way to attach to them. awesome idea! My mom used to do it with a skinny curling iron. I know you mean when you are looking to buy. I'm "exactely" the same way! But I usualy buy one just to remind my self on how it was made so I can make it better! I am exactly the same way, all the way down to taking on more than I can possibly complete time-wise. Pottery Barn Kids especially - maybe not the rug but the photo-zebra throw pillow? You could totally do that with an ink jet iron-on transfer, right? I know exactly what you mean - and I take on way more than I have time to handle. I will suggest if you like the braided rugs - try making a crochet one. Much easier. LOVE the ribbon curls! 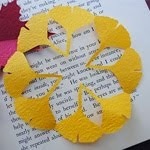 I'm going to make these with my daughters. Thanks! Never knew about the baking part, now I will dare put them in the oven! I hear you, sometimes being over-ambitious just makes me frustrated and unproductive. Very clever idea, indeed, I need to give a try. Thanks for sharing, this is awesome! My reputation for making things has far outgrown my skills. I was shown this when we were looking at a cool transparent plexiglass canoe somewhere online and my friend Emily said "You could make that!" A Canoe? I too have the I-Can-Make-That Curse. I inherited it from my mother who used to say it all the time but never ever actually made the items. She's reformed now and actually buys stuff at craft shows. I'm terrible and I do try to make everything, except clothes and I know I'll never do a braided rug. Thanks for the tute, you are a genius! I knew there had to be a way to do that. Thanks for sharing. My girls will be oh-so-happy to have new hair things to start school. Very clever and perfect timing for my soon-to-be 3 year old who has hair down to her booty already! Oh yes love how to make this, what a great idea before school starts.I wanted to make Hair bows just what i was looking for. Awesome tutorial!!! Thank you so much. In your FACE Gymboree! You no longer have the power of curly hair clips over me! Seriously, thanks for this. I will definitely be making hair clips and ponytail holders using your technique. love your blog - awesome ideas for all! Just an fyi- you do not need to wet the ribbon or the dowels - I promise they will come out fine and will hold the curl. Thanks again for all of your fun projects. THANK YOU so much for this tute! I am spending a fortune on Gymboree hair clips with the cute curly ribbons. I just made my first batch and I am never buying Gymboree hair clips again!!! :) This was so fun, I could make them all week long! Thanks again and God Bless!! OMG...my daughter is 18 now...and I use to make these just around pencils but sprayed them with starch and let dry. All of these secrets now when she doesn't need them. 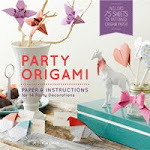 And, I am a horrible..."I Can Do That" shopper...ha ha...I hope that it continues because I have a blast crafting! Thanks for the tip! this tutorial rocks we all need this one for hair ties and packages.Thank you so much! by the way: if you don't have clothes pins you can wrap the ends in some foil. Heh, I'm curling ribbon stringer ends of a Halloween costume wand. My daughter will be a fairy. I think I'll end up spending a total of $13 and she'll have a wand, wings, a dress and a chainmaille hat in sterling silver and anodized aluminum in violet and turquoise. The fabric I have is white, light blue and lavendar, with some printing on them (two different fabrics... one has the blue and the other lavendar) of gardens, flowers, etc. Really pretty and flowy but I'll make a base dress, then attach leaf-shaped pieces to it for a raggedy look. Yeah, probably costs more but I have all the other stuff and to me, current cost is more important than full cost. 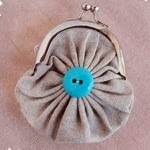 I always have a supply of sterling silver and fabric... She'll be the talk of the town- again! Last year's mermaid costume was a success, as well! Oh and she LIVES in my Halloween costumes I make lol! thank you so much for posting this..we've been buyin the hair ties at Gymboree and i wondered how you could get the ribbon to curl because i knew i could make them if i knew that part...does it stay curled, or do you have to be careful with it? It stays curled. It might loosen up a bit with time but it will still look good. I just wouldn't wash it or let the ribbon get too wet. HELP!!! i am doing something wrong!!! i followed the directions exactly (even same kind of ribbon), and when i take my ribbon off it's straight!! any suggestions?? Is the ribbon dry when it comes out of the oven? Maybe try letting it cool down before you take it off the dowel. Also I would suggest sliding it off the dowel instead of unwinding it. haha I a the same way I always think I can make it.....but I love making bows its so much cheaper then buying them! Anyways I just couldnt figure out how to curl the ribbon, so THANKYOU! 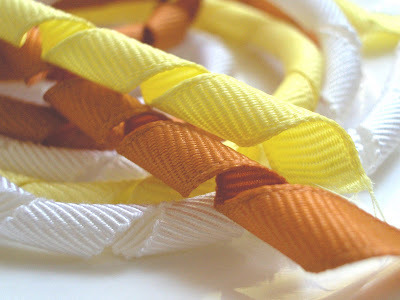 Thanks for sharing the tips of curly fabric ribbons :). 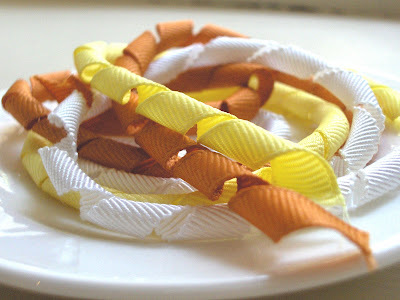 i'm so excited in making these cute curly ribbons for my daughter since buying "ready made" curly ribbon accesories quite expensive here. Thanks and i hope I will get the same result as you did. Fantastic! I'm making my daughters and niece hair clips to go with their Easter dresses tomorrow! Just turned on my oven to try this!